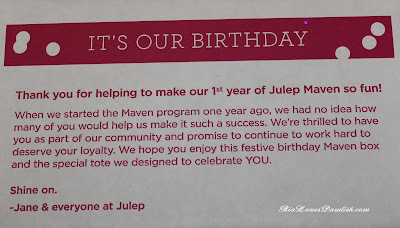 i got my August Julep Maven box today! as usual i picked It Girl, which came with three polishes. the extra treatie this month was a tote bag... which is cute, but pretty small. i think it will work for quick trips to the mall, though... here in Monterey, California, you have to bring your own bags when you go shopping or be forced to pay 10 cents a bag (OR be like me and stumble around carrying everything because you forgot your own, but refuse to pay for theirs!). 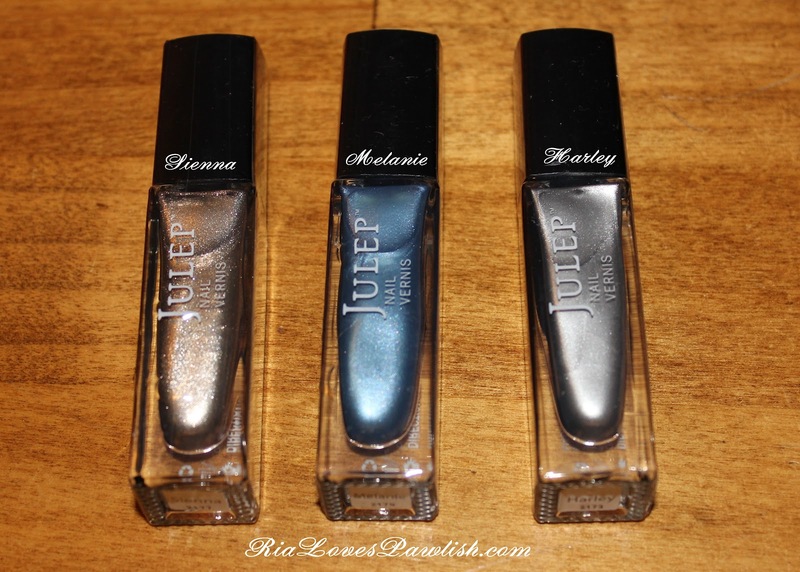 here are the three polishes (Sienna, Melanie, Harley), they are supposed to have chrome or metallic finishes! they switched things up and used a pink box this time... how cute is that? i also threw the little card with a quote from Oprah on top of the box. 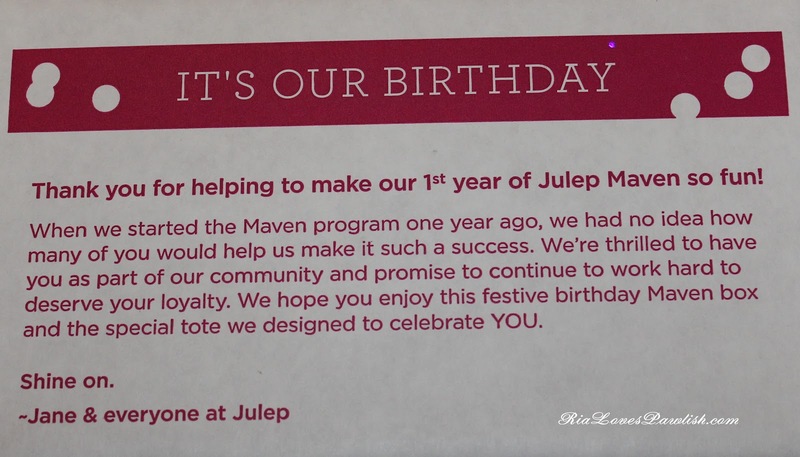 and i just wanted to show their sweet little note they had printed on the inside of the box. 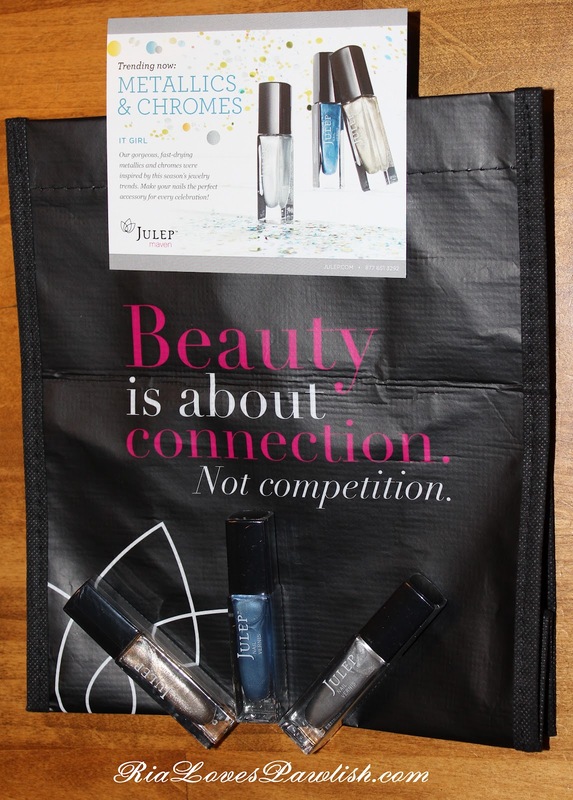 i love a company who appreciates their customers! Those are beautiful!!! I want! I was thinking after you left that I wished I'd given you most of my bags. I only kept a few because I don't really need them here but my brain was on overload with info, I just didn't think fast enough.